​This article was published on 12.28.17. A few months after having her gallbladder removed in 2015, Justeen Crawford recalls, she collapsed on her kitchen floor. She blames this on Latuda, a pain-reliever prescribed to her to help mitigate muscle spasms, persistent fatigue and chronic pain from fibromyalgia. In the hospital, Crawford discarded her belief in the “Just Say No” campaign and decided to look deeper into her doctor’s recommendation of a new treatment: cannabis. To answer that question, but in a different context, the city of Sacramento has embarked on an ambitious project, the Cannabis Opportunity, Reinvestment and Equity, or CORE, program, which aims to eliminate obstacles, incubate businesses and train employees in communities that have been most viciously affected by the War on Drugs—so that those profiting off cannabis in Sacramento aren’t just cash-flush techies. “My soul was disturbed by what would happen if the African-American community in particular wasn’t organized to demand equity,” said Malaki Seku-Amen, president and CEO of the California Urban Partnership, who led discussions with Mayor Darrell Steinberg and Councilmember Jay Schenirer to develop a workable framework for the program. Now mostly pain-free, Crawford works at A Therapeutic Alternative, run by Kimberly Cargile, who has pledged to help the city by mentoring a new applicant each year. The program would aim to help small businesses owned by women, veterans and people of color—companies such as Sheeweed, an edibles and topicals manufacturer. The City Council unanimously approved $1 million on November 28—two years of funding for the program. And while many specifics need to be hashed out, the potential is there. Even under moderate projections, the cannabis sector is poised to create over 8,000 jobs, generate close to $2 billion in economic output and demand for over 40 tons of cannabis in the Sacramento area alone, according to a study by the University of the Pacific. While working for the Sacramento County Criminal Justice Cabinet, Seku-Amen went on a ride-along with sheriff’s deputies and, he says, observed their discretion in drug enforcement. In the mostly white suburb of Carmichael, Seku-Amen says, deputies spotted teenagers smoking weed in a park, asked them, “Where are your parents?” then took them home to have a discussion with their folks. “But then, they’d go to somewhere else, maybe North Highlands, and there’s some black kids doing pretty much the same thing and their asses go to jail,” Seku-Amen said. Multiple studies have shown that white and black youth consume marijuana at similar rates, while whites are actually more likely to sell. But black and brown people bear the brunt of the punishment. Between 2006 and 2015, more than 450,000 people were arrested for marijuana charges in California, according to the Drug Policy Alliance. According to its report, in 2015, black people were three-and-a-half times more likely than white people to be arrested for a marijuana offense, and Latino people were arrested 35 percent more often than white people. These arrests in turn split families apart, exposed nonviolent people to perilous corrections facilities and damaged educational, economic and housing prospects. But the war on marijuana is only a small part of a legacy of dispossession. On average, white lower- and middle-income households had four times the wealth of black families and three times as much as Hispanic families in 2016, according to the Pew Research Center. The CORE program aims to offer support—including education, legal counsel, business plan development and more—to women, minorities and veterans, particularly those who are “economically disadvantaged” and lived for at least seven years in a most affected zip code. The program would defer multi-thousand dollar fees, amend background check requirements and give applicants priority in processing for conditional use and business operations permits. Among those excited for the program are Sheeweed’s owners, CJ Jackson, Neisha Cummings and Shawna Lucero, for whom a conditional use permit application, which could cost between $16,640 and $33,610, would be waived. The three women of color currently sell edibles and topicals, mostly at private events that they compared to a “farmers market” for medical cannabis products. They hope to benefit from the CORE program so dispensaries will someday sell their cannabis-infused products such as cookies, lemon bars and even chips and salsa. “That is the beauty of cannabis—there are so many ways that it can provide the medication to those who need it,” said Lucero, who credits marijuana with helping sooth her chronic migraines. Still, Seku-Amen notes that much work remains, like ensuring that the program helps those matching the stated criteria and that the city manager follows through on a directive to provide a “revolving loan fund” that would draw from cannabis tax revenues to provide financial assistance to qualified applicants. 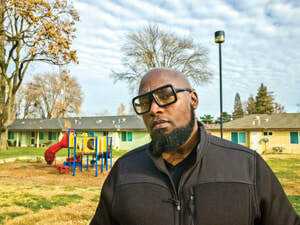 Several things also remain unclear, such as what applications will look like, what third parties will provide the training (Seku-Amen hopes for the Greater Sacramento Urban League), and whether this assistance will be enough to help these businesses crack into the marijuana market if the city keeps its maxed-out cap of 30 dispensaries. As the executive director of the only fully female-owned dispensary in Sacramento, Cargile says she’s trained 10 employees who have gone on to establish cannabis cultivation, manufacturing and dispensary businesses. On December 14, she told SN&R, she found a female candidate for the equity program that she would like to mentor. After helping her work her way up through A Therapeutic Alternative, Cargile says, she would then take on a new candidate each year. But despite legalization, many remain locked into the “reefer madness” perspective. Crawford says when she began taking cannabis, the strong negative response from her in-laws. But despite this familial strife, her cannabis medication allows her to now “do all the things that a mom should be able to do,” she said. For Seku-Amen, the CORE program means a modest repayment of the trillions in wealth either taken from or denied to minority communities. And although work remains, the long arc of the moral universe may finally be bending towards justice—at least when it comes to cannabis.